Welcome back to another week of exploring Farmville. In this week’s blog, We are going to travel back down Main St. in Farmville, past walkers diner on the left and end at the warehouses. Green Front Warehouses that is! Green Front Furniture first began when a man named Richard F. Cralle Sr. bought Green Front Grocery. After many years, Richard passed the store down to his son, Dickie. Dickie took the grocery store and turn it into a home goods store instead. This is how Green Front came to be! Green Front Furniture is located throughout downtown Farmville. The main address for the store is 316 North Main StreetFarmville, Virginia 23901. Green Front Furniture is unlike any other furniture store. I created a survey and post it on my social media last week about why people love Green Front Furniture and why they have suggested it for a blog post! I was able to get 57 people to take the short survey! Green Front Furniture has a wide, almost endless, variety of furniture and more. 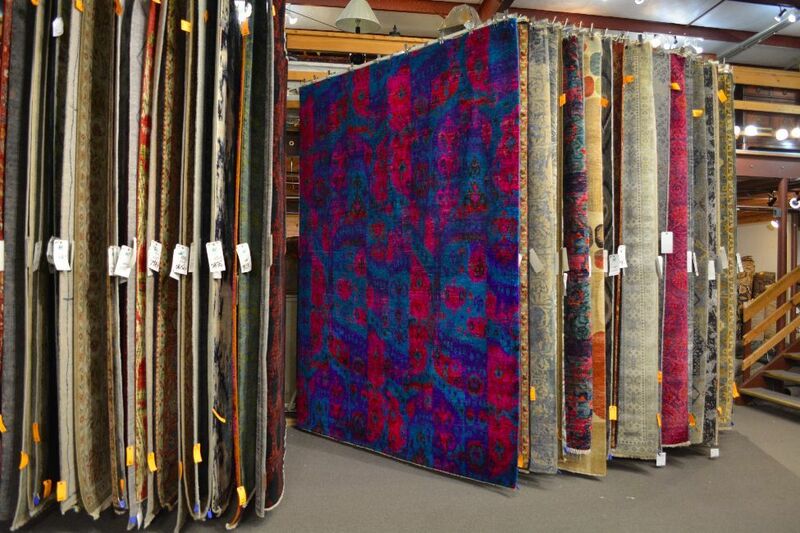 Whether it’s a rug, lamp, sofa, side table, or chaise, I can assure that you will find it here. “There is nothing like Green Front in Virginia Beach. Home furnishing stores are disappearing and are being replaced by cheap ones like home goods. It is a treat to be surrounded with so [many] and such differing styles,” wrote a frequent guest of Green Front. The variety of options and styles has kept people traveling to Farmville from all around the world. The selection continues to draw them with the promise of items that are not found anywhere else. “The selection in all of the warehouses is amazing. You can find things that you never would anywhere else.” When I followed up on this survey later in the week, I asked what type of items were her favorite when she visited. She summed it up by stating that small decorations are her favorite and she always goes home with a variety to update her “country house”. People can’t stop talking about the heart of Virginia, Farmville! The massive warehouses and the charm of downtown Farmville draw people in. For the thousands of out-of-town guest, coming to visit Green Front is more than a shopping trip, it is an exciting adventure. Customers love the treasure-hunt feel that is a part of their Green Front experience. Sure, Green Front Furniture may carry some of the same brands and you might even find some similar looking rugs, but Green Fronts industrial look is authentic and helps them keep their overhead low. This is beneficial to you because it keeps the prices low, which of course everyone loves. Many visitors mentioned being surprised about the quality of the products and the massive selection. One of the most surprising things to customers was the price of products in store. Visitors stated over and over on the survey that they appreciated the consistently fair prices on one-of-a-kind masterpiece rugs, hand-carved furniture such as the china displays, and high quality brands. “It is amazing. I love not knowing what I might find and finding things at bargain prices,” a visitor wrote. When you first arrive to the warehouse, you won’t be swarmed with five different sales people over a course of five minutes and desperate for a commission on your sale to them. Many of the staff at Green Front have been with the company for 10,15, and 20 years. The oldest salesman recently died in August, but this month would have been 41 years. My social media survey participants repeatedly stated the welcoming, knowledgeable staff as one of the best parts of their visits. A frequent visitor of Green Front stated: “I really like that the salespeople don’t follow me around or hover me.” Many of the other visitors said the same thing! They also mentioned how friendly the staff was and it made the buying process much easier. The visitors were so impressed with the helpfulness of the Green Front team that they even mentioned favorite associates by name, pictured above. The recent survey provided proof that people love the variety, venue and value at Green Front. But, what seems to shine through the most is the adventure and excitement of the overall visit from the visitors. 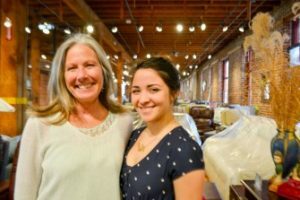 From out-of-towners to people who live in Farmville, Green Front Furniture has it all! Wonderful items from you, man. I’ve bear in mind your stuff previous to and you are simply extremely excellent. i love this place i love everything.